In 1968, at the height of the Chinese Cultural Revolution, the communist party decided on a radical new system of healthcare delivery. It was started in order to bring healthcare to the ever-growing population of China. Most of the population of China (about 80%) was in the rural areas and these areas were very hard to access. Every village had at least one barefoot doctor and this doctor was trained to provide basic medical care. In this way, a national network of healthcare services was created. These village doctors were portrayed both in China and also outside of China as a kind of revolutionary hero. They called them barefoot doctors because the image was of them wading through rice paddies basically to bring low cost effective healthcare to the poor. Although China’s barefoot doctors came from a background of limited training and relied on simple supplies, it was a very important institution during the troubled times of the Chinese cultural revolution. It has since been acknowledged by the World Health Organization as one of the primary and effective healthcare initiatives around the world. The barefoot doctors approach encouraged the experience of a close doctor-patient relationship. The care of the patient was no less important than the treatment of the actual disease or problem. It might have even been more important. During the 1950’s and 1960’s, there was a real shortage of trained doctors. Those doctors who went through the full medical school training were mostly in the urban areas of China. Only 25% of the Chinese medical budget was even spent in the countryside. When Mao heard these statistics, he apparently became very angry and during one meeting, stood up and said “The ministry of health is working for only 15% of the population and most of that 15% are aristocrats. For the broad peasant masses, there is no doctor. There are no doctors and there is no medicine. So it ought to be named the urban aristocrat’s ministry of health.” From there he said “Let’s try to cultivate a large group of medical workers from the country side and allow them to serve the health needs of the peasants.” So the central government decided that basic healthcare in the rural areas in the country side should be provided by health workers rather than fully trained physicians. By the late ‘50s they had trained about 200,000 of these village doctors and while they could not do everything, their impact was considerable. In August of 1966, China’s first experimental cooperative clinic which was called The Happiness Garden Commune Village Brigade Medical Station hung out its sign. This was the beginning initiative of the clinic and it became the model for the barefoot doctor who basically was working alongside the peasants and also doing simple medical procedures. So who was able to become a barefoot doctor? They were the sons and daughters of peasants, most with little education. They needed to be able to read and write. And they needed to be able to multitask to fill the gap between laboring in the fields and laboring in the classroom. Conducting the training for the barefoot doctors, it was necessary to keep things light and practical. So, the instructor would avoid language such as: carbohydrates are a good source of energy. Instead, the teacher would say: brown rice is better for you than white rice. Boiled rice is more filling than steamed rice. If you eat steamed rice, you should also drink the water in which it has been cooked. (Of course this is to replenish the vitamins that are lost in the steaming process.) But the idea here is that the information had to be practical. The Barefoot Doctors Manual was published in 1969 and included were many herbal prescriptions for the cure and prevention of illness. It also included simple procedures and remedies that could be used when there was no opportunity to get a specialized doctor. The Manual was not only reading material for the rural doctors but it became a kind of handbook for families. When children got minor ailments, the parents would be able to leaf through the handbook to identify symptoms and treatments. What do you do for measles pox? How do you treat upset stomach? So the handbook had a kind of answer for everything. The handbook was later an object of international attention. There were translations of it into English and, to date, it’s been translated into more than 50 languages. Of course there were some wonderful stories from the days of the barefoot doctors. One of them was about a man who had been working in the field. He was pulling up stones on a mountain and he suddenly keeled over. It seemed like he had had a heart attack and so when the barefoot doctor got the call and went up the mountain to try to treat him, he had already been unconscious for 20 minutes. After feeling the pulses, the barefoot doctor just placed some acupuncture needles in the right places and after a little while, the worker came to. Of course the doctor believed that if he had not been there, the patient would have died. The nearest hospital to the village was a long way away and there was no way to send that person there. So the idea behind the story is that the most useful practitioners are those closest to the people and closest to the places where people live. 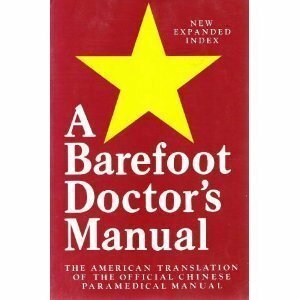 The two most useful tools that the barefoot doctor had were acupuncture needles and herbal medicines. Students training as barefoot doctors were encouraged to experiment on themselves with the needles. So the effective use of acupuncture as a technique became very important and it seems that every barefoot doctor was familiar with acupuncture. Because there was a lack of western medicine available, they were encouraged to use herbal medicine. Chinese acupuncture and herbal medicine really suited the actual situation in the villages. Allopathic interventions represented an increasingly specialized and systematized medical system and were also expensive. An acupuncture needle or a bottle of herbs did not really require much money and could be used easily. Barefoot doctor has become an historical term, however, the foundations of the work are still operating. As recently as 2013, the World Health Organization’s Traditional Medicine Strategy Plan for the years 2014 to 2023 indicated strategies of integrating traditional medicine into worldwide practice. This includes acupuncture as the most widely used modality in 56 countries. So, with this in mind, Janet Galipo has designed online training programs to integrate some of the Barefoot Doctor’s approaches and information into a practical training. Barefoot Doctors 21st Century is an online learning website created by Janet Galipo, Acupuncture Physician and Senior BodyTalk Instructor.